A demonstration was arranged by head office dealer sales manager for Kubota and Ausa, Charl Kemp. He demonstrated the ease of operation and assured ease of maintenance, as well as the guaranteed spares availability from the local dealer through Smith Power Equipment. 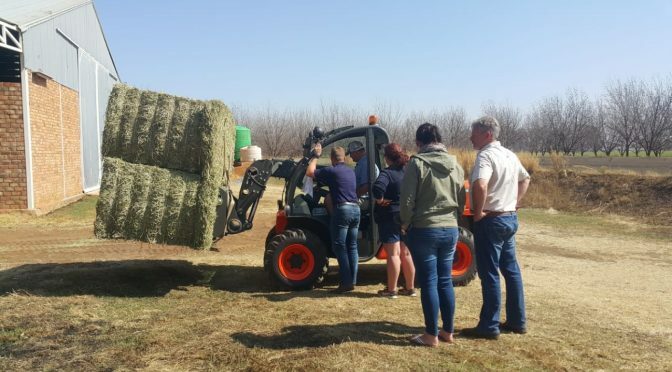 The demonstration showed how the machine could make light work of loading two maxi compressed bales of 750 kg each to 4 m high. 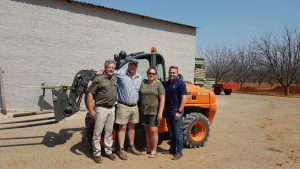 “The main reason for going into the market was that their tractor solution was too light and consequently started tipping forward. 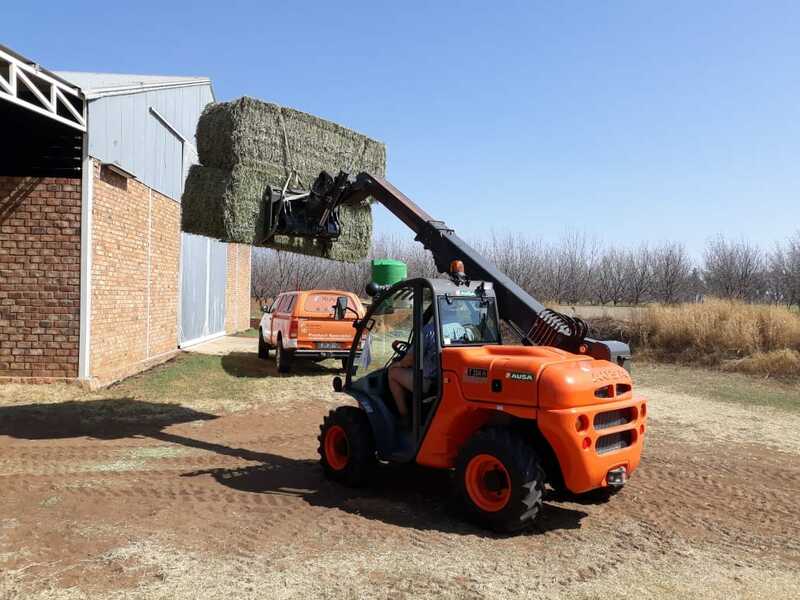 Additionally, they needed to load three bales horizontally onto their truck (load bed starting at 1,5 m high) for economic transportation and the T 204 H was the natural choice. Other operational parameters tested were machine maneuverability and speed while handling the load. An exciting feature in this regard is the crab mode, which allows the machine’s tyres to independently turn in one direction,” explains Kemp. Through Danlou Agri Hartswater, Smith Power Equipment’s authorised distributor in the Hartswater, Northern Cape area, Grobbelaar went on to purchase the recently-launched AUSA T 204 H telehandler. “We were quite impressed by the machine when we had it on trial. We went on to purchase our unit some two months ago. 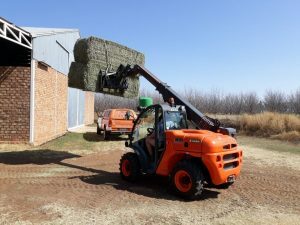 We needed a machine that could multi-task around the farm,” explains Mareli. Ordered with forks, the machine is deployed to load lurcene bales. “Our tractors that we previously used for this particular task are old and can no longer do the job efficiently. We also have a bigger telehandler on site that we use to load bales. However, we also use this particular unit during harvesting and that’s why we needed a second machine. We are impressed with our AUSA T 204 H due to its versatile and compact nature, which allows it to turn efficiently even in confined working areas,” adds Mareli. Officially launched locally at bauma CONEXPO AFRICA 2018 by Smith Power Equipment, the AUSA T 204 H has a 2 000 kg capacity. It is the most compact telehandler in its size class. 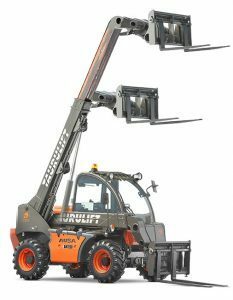 Designed to carry loads on demanding terrains and narrow spaces, the machine can elevate 2 000 kg at 4,2 m. It has a reach of 1 000 kg at 3 m when the boom is horizontally extended. Powered by a Kubota engine delivering 36,5 kW of power, the T 204 H combines hydrostatic transmission and joystick controls with an integrated inverter. The technology allows for smoother and intuitive handling on rough terrains, as well as better performance with reduced fuel consumption. An advanced position cabin gives a 360 degrees visibility. With up-time in mind, the tilting cabin offers easy access to key service points for quick execution of all maintenance tasks. It offers outstanding rough terrain capabilities because of its permanent 4WD transmission with a limited slip differential on the front axle and a great ground clearance. Check out our website for more information about our Telehandlers [click here] or our facebook page [click here]. This article was featured on the AfricanPetrolChemicals website [click here]. This article was featured in Cape Business News – Jan 2019.